Taboo of the Black Eyed Peas shares the inspirational story of how he went from gangland East L.A. to the top of the world. Born into a family with strong gang connections, Taboo's life seemed destined for tragedy, however with the support of his grandmother, he dreamed of a better life and pinned his hopes on music. However, life as a rock star was not exactly a fairytale for Taboo. 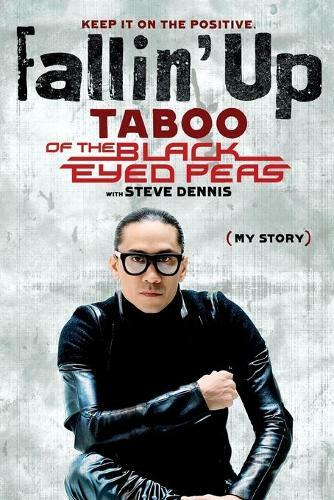 As the Black Eyed Peas' profile grew, Taboo's personal life started to fall apart as he found himself ill-equipped to handle the success and fame. He becomes hellbent on self-destruction through the abuse of drugs and alcohol and a revolving door of women in and out of his bedroom. However a night in jail made him re-evaluate his life, take a new course without drugs and alcohol, which in turn helped the Black Eyed Peas reach even higher heights, winning multiple Grammys, and breaking Billboard records to become an undeniable global phenomenon. Fallin' Upis the story of a dreamer's unbreakable spirit - determined to keep getting back up each time that life's hard knocks threaten to bring him down - 'because life's about fallin' up, not falling down'.